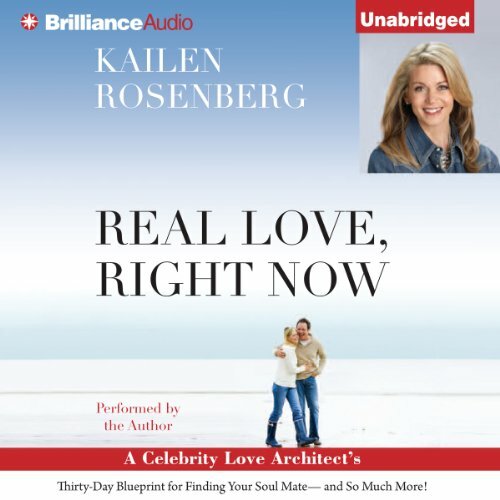 Showing results by author "Kailen Rosenberg"
A Celebrity Love Architect's Thirty-Day Blueprint for Finding Your Soul Mate - and So Much More! Real love is out there... and Kailen Rosenberg will help you find it. From the costar of the groundbreaking series Lovetown, USA on OWN: Oprah Winfrey Network, this is an encouraging, inspiring audiobook to help you get past the things holding you back from finding real, authentic love. Kailen starts with a physical, mental, and emotional self-appraisal, which asks you to examine the things you don't want to admit are holding you back, and helps you discover what you need to work on to have the best shot at finding a soul mate and creating a fuller, more rewarding love life.